Provide professional support, education and training for children with special needs and their families. Children with autism spectrum disorders, attention deficit/hyperactivity disorder, specific learning difficulties, developmental delay, speech delay and multiple handicaps. Heep Hong Society sends staff overseas to acquire the latest training techniques, regularly invites internationally acclaimed scholars to provide training, conducts innovative research, and produces new books, resource CD-ROMs and computer apps on children's development. The society provides services to more than 15,000 families every year. 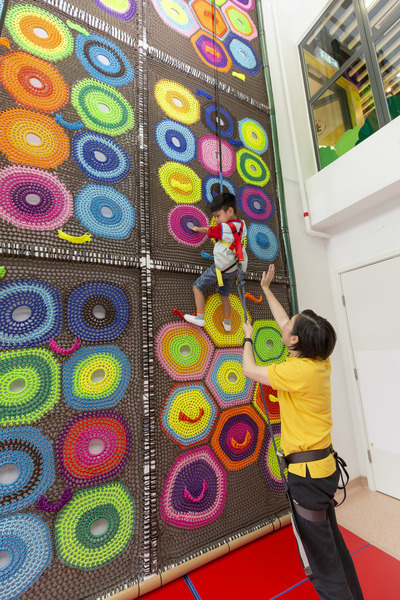 Established in 1963, Heep Hong Society is a leading local non-profit organisation committed to helping children and young adults with special needs and their families develop their potential in a happy and healthy environment, thereby contributing to a more inclusive society. Heep Hong’s 1,000-strong professional team comprises psychologists, occupational therapists, speech therapists, physiotherapists, social workers, nurses, and child-care workers. Every year, its services at over 50 service units directly benefit more than 15,000 families. It also makes contributions to the development of child rehabilitation services in the Greater China Region through research on various treatment approaches, publication and training. Special needs addressed include autism spectrum disorders, attention deficit/hyperactivity disorder, specific learning difficulties, developmental delay, speech delay and multiple handicaps.